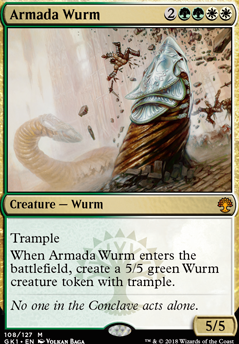 When Armada Wurm enters the battlefield create a 5/5 Wurm creature token with trample. Gleeock on It's raining men, HALLELUJAH! Neat! 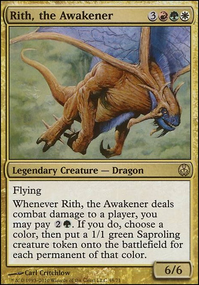 Dire Fleet Ravager ... is there any change you'd consider: Armada Wurm for this deck's profile pic?? 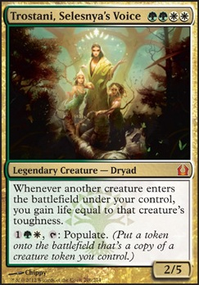 God-Pharaoh's Gift is amazing in Trostanis decks as well, especially when paired with ETB creatures like Wood Elves, Armada Wurm, etc. 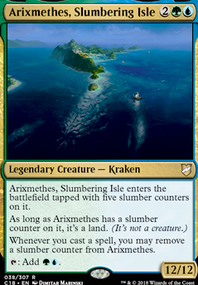 Hey, nice budget Commander deck. 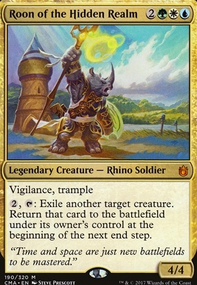 Phyrexian Processor is pretty busted with Trostani and more ramp is very good to play Trostani faster or have more ways to make mana to play big creatures.